Posted on February 4, 2013 by Susan H.
Superbowl 2012…my boys and I created our own Allergy Friendly Superbowl Party…click here for the details…as Andy headed off to his annual all boys Superbowl Party. Superbowl 2013…the ladies were invited! It was a potluck… so of course…I chose to bring dessert. Dairy, Egg, Soy and Peanut/Tree Nut Free Decadent Brownies are always a hit…no matter if one has food allergies or not. Added bonus for the boys…samples for dessert. I also baked an Apple Torte…ladened with butter, cream cheese and egg…a forbidden dessert for Michael, due to his dairy and egg allergies. To be honest, I felt very odd making it…I haven’t baked with butter, eggs and cream cheese in years, so it seemed almost…sacrilege. 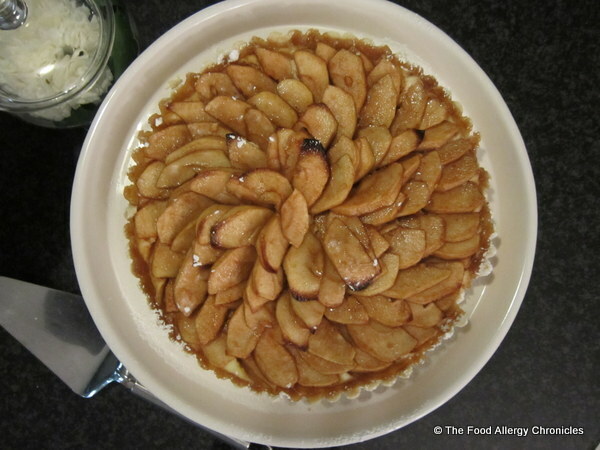 It has inspired me to put Apple Torte on my ‘to-do’ adaption list. The boys were not left out…they had a ‘Superbowl Party’ of their own. Andy ‘sauced up’ his famous Allergy Friendly Chicken Wings for the boys to ‘mow down on’ while they watched the game. The boys are independent enough in the kitchen…they reheated the Chicken Wings…baked some French Fries…with chips and Dairy, Egg, Soy and Peanut/Tree Nut Free Decadent Brownies for a treat…the boys were happy to see us on our way! Do you have any allergy friendly recipes you like to bake for parties that goes unnoticed? Are their recipes you would like to adapt to be allergy friendly for your family to enjoy? 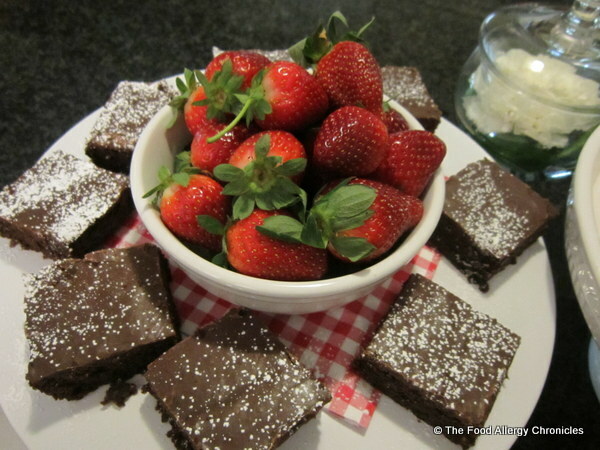 This entry was posted in allergies, baking, dairy free, dessert, egg free, multiple food allergies, peanut/tree nut free, soy free, Superbowl Party and tagged allergy friendly chicken wings, Allergy Friendly Superbowl Party, Dairy Egg Soy and Peanut/Tree Nut Free Decadent Brownies by Susan H.. Bookmark the permalink. Everything looks delish….as usual. FYI, you gave me that apple torte recipe years back and I have made it with blueberries! Very yummy!